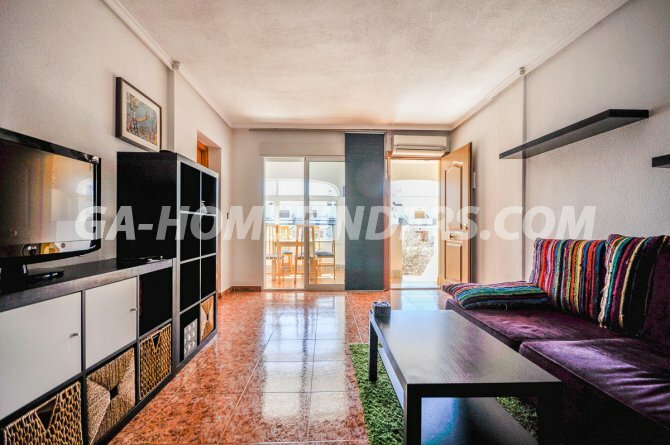 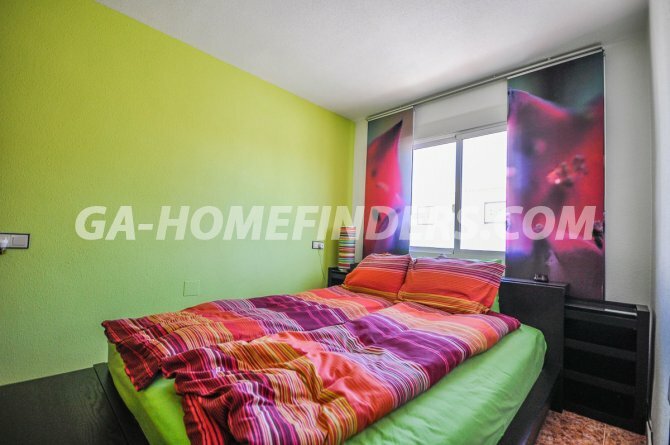 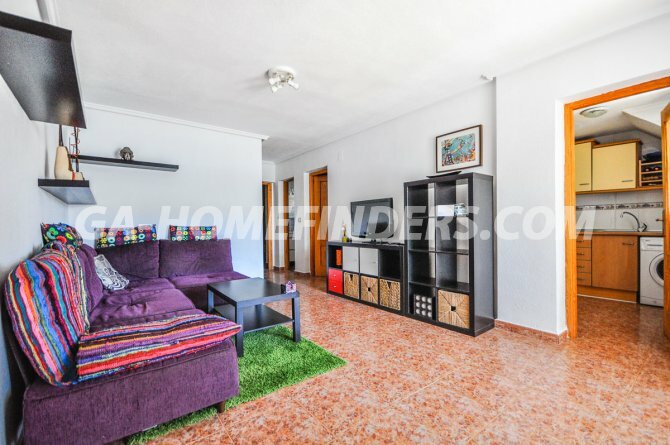 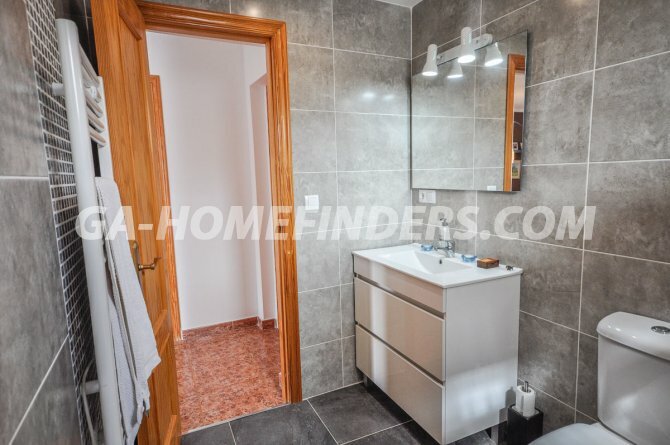 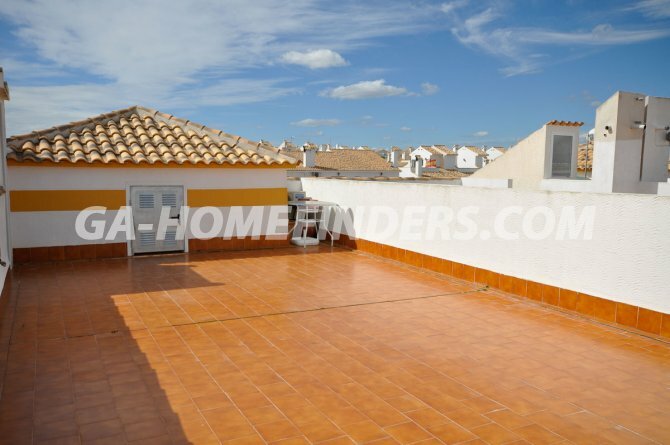 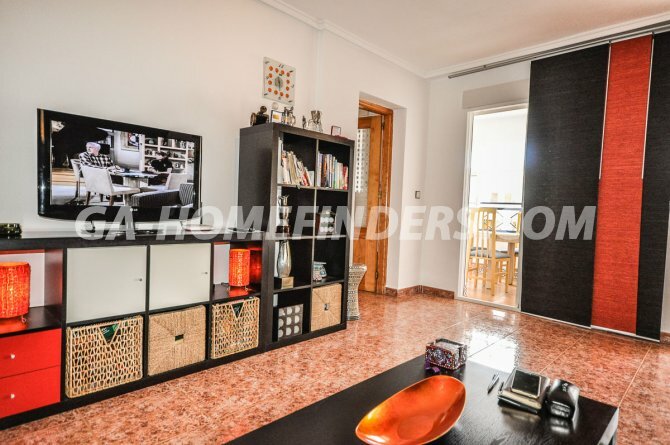 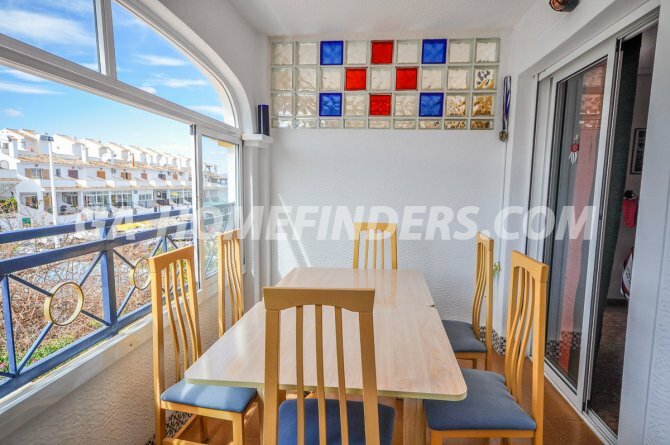 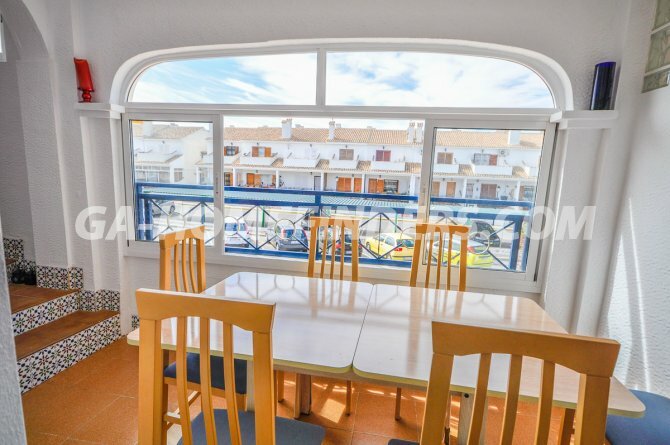 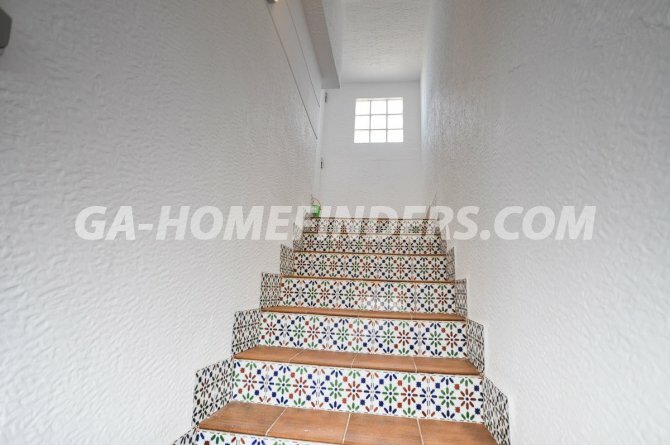 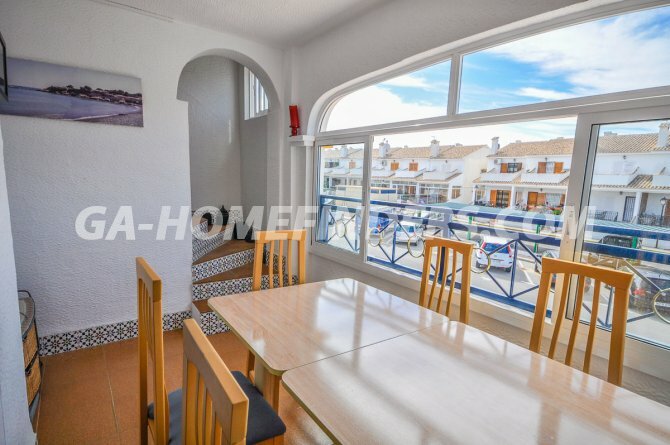 Corner top floor apartment, it has 3 bedrooms and 1 bathroom, furnished, it has an independent kitchen with appliances, air conditioning (hot and cold), all rooms have ample fitted wardrobes, glazed in terrace, enclosed staircase to the large solarium with wonderful views of Gran Alacant. 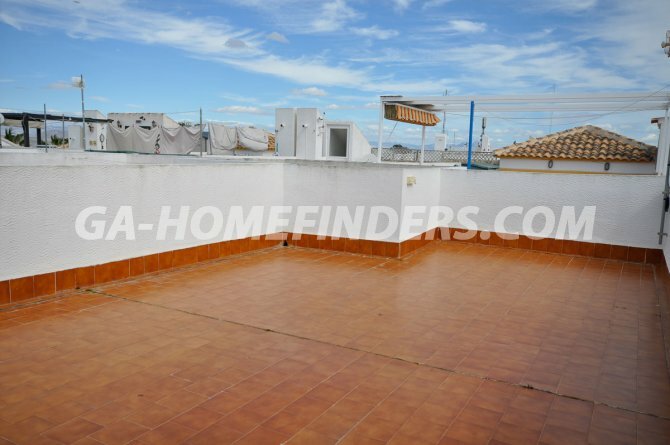 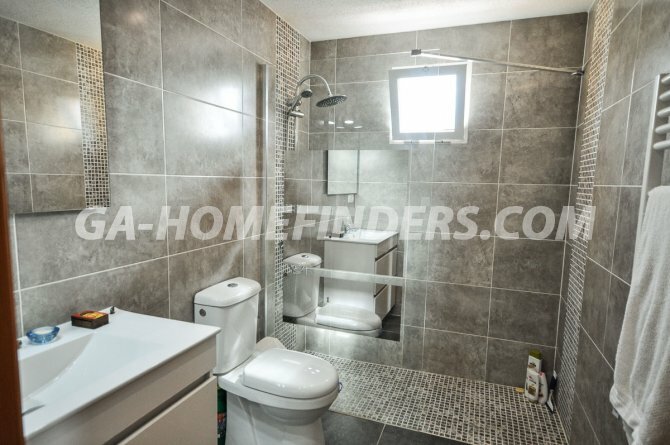 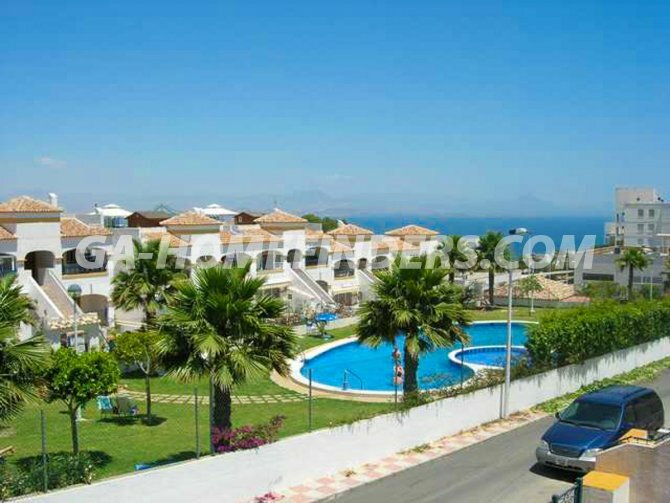 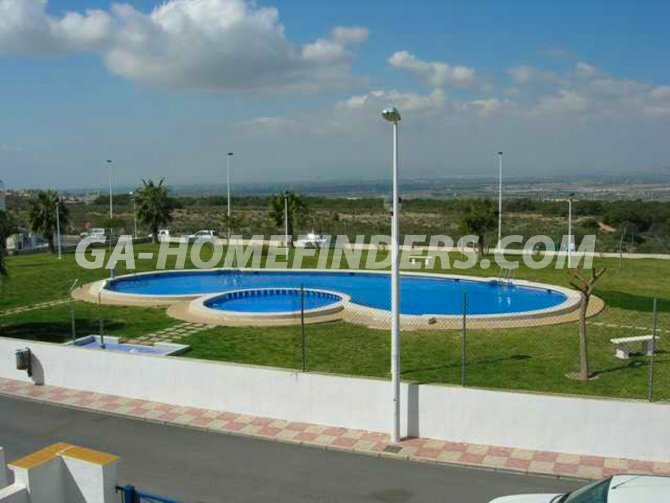 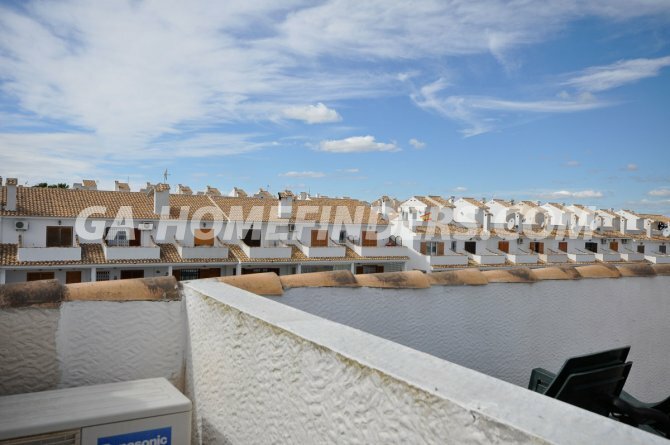 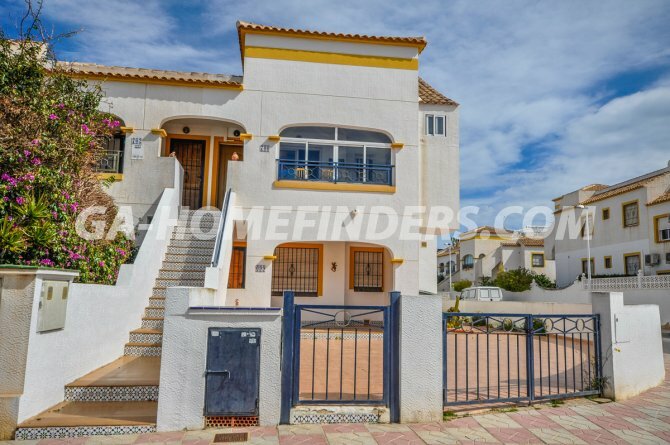 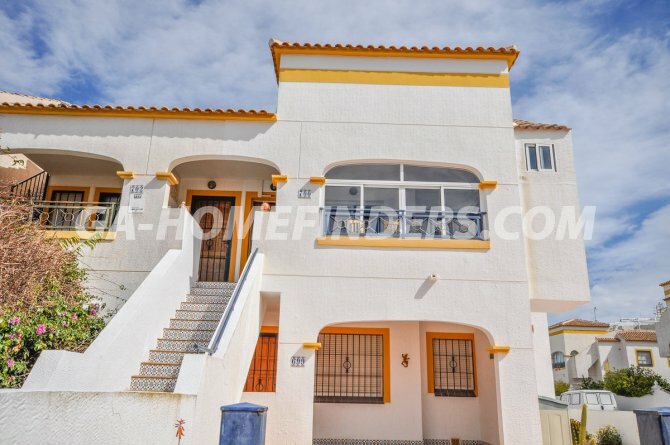 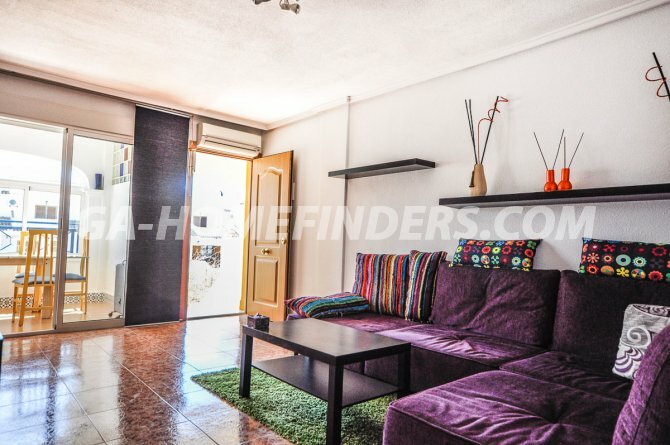 It is located in the upper part of Gran Alacant, in a gated urbanisation with lots of parking, it has 3 communal swimming pools with large green areas and is very well maintained urbanisation. 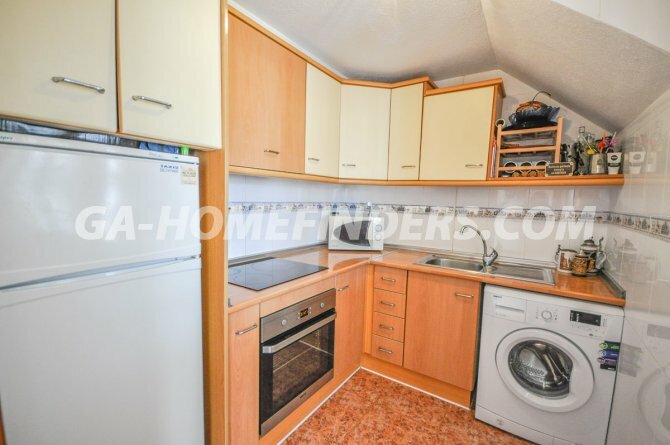 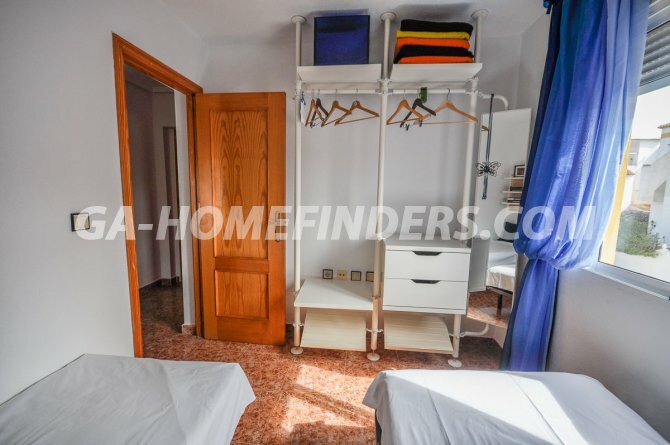 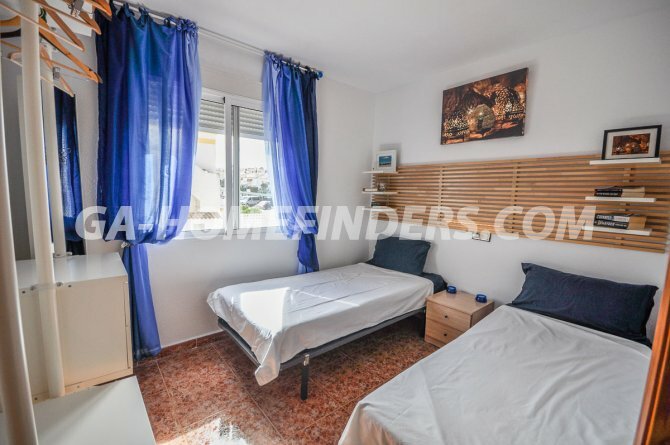 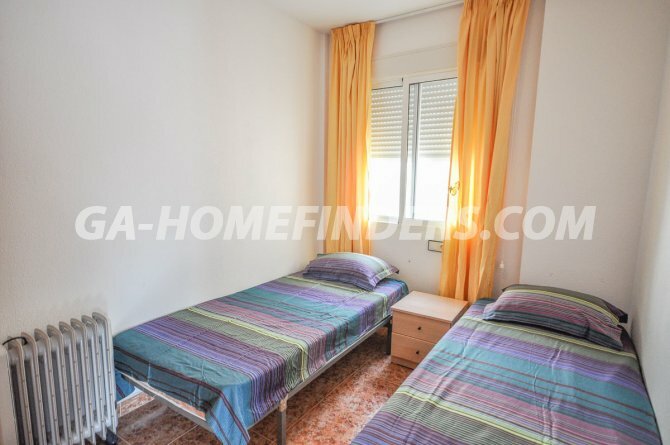 It is close to all the services; restaurants, bars, shops, public transport and the local Thursday market and the health centre, It is only 5 minutes from the beach by car.